Did you always want to know how the luggage finds its way into the cargo hold, how large jetliners are refuelled or how big the maintenance hangars have to be? Our airport tours put you right at the heart of the action. 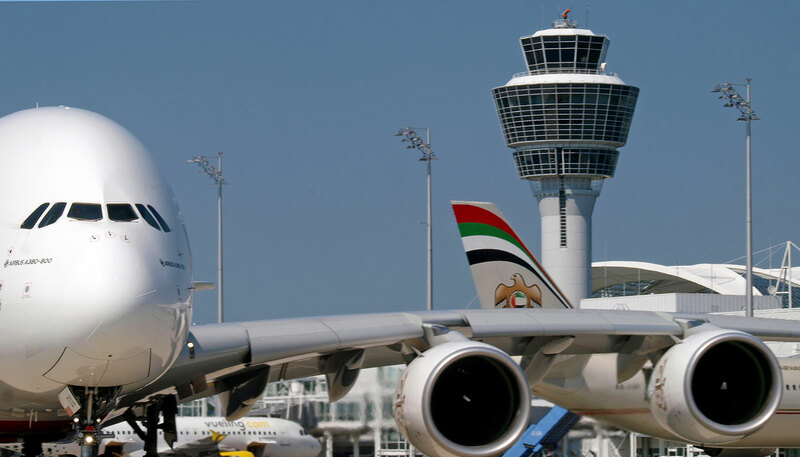 With more than 46 million passengers per year, our airport is a masterpiece of fine-tuned logistics. Our Airport Live tour will thrill the heart of any dyed-in-the-wool aviation buff. We offer our airport tours for individuals as well as groups. Please note, that our airport tours are conducted in German. By prior arrangement we can provide group tours in the most common foreign languages. Due to construction works, there are currently no parking facilities available at the Visitors Park. Please follow the signs to P50 as an alternative parking space. During the construction phase you can park for up to 6 hours free of charge. You can have your parking ticket validated during opening hours in the airport shop at the Visitors Park. If you have any questions about the current parking situation, please contact the parking control centre on 089 975 222. Please account for 15-minute walk from P50 and back for your visit at the Visitors Park. Safety is the top priority in aviation – in summer and winter. Consequently, aircraft must be cleared of ice and snow before take-off. That’s where EFM comes in. When aircraft are on the ground they are often moved using a tractor. This is done when an aircraft needs assistance to leave a parking position and because this approach is often more economical. 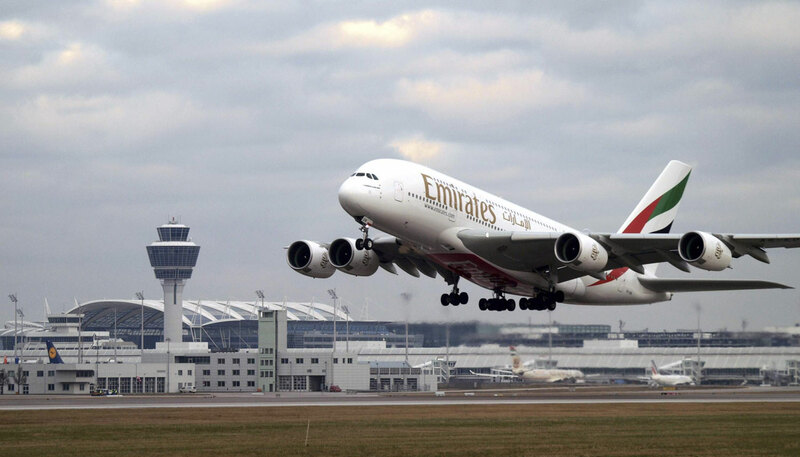 The giant airbus A380 of Emirates takes of at Munich Airport. 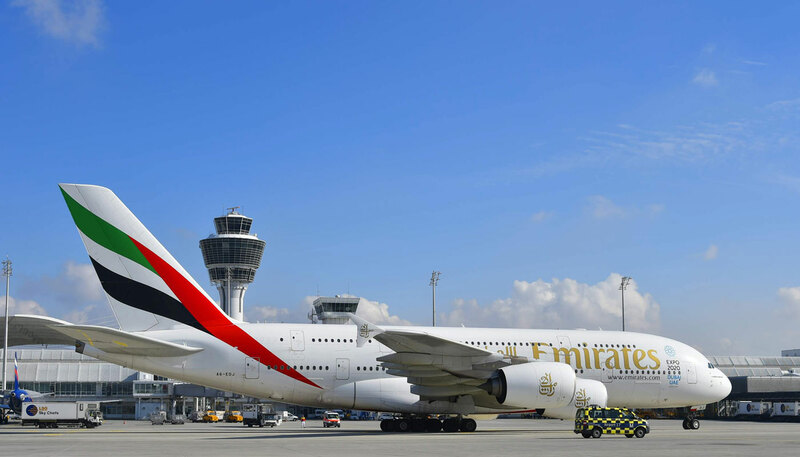 A Marshaller escorted a Emirates airbus A380-800 to its park position at Munich Airport. 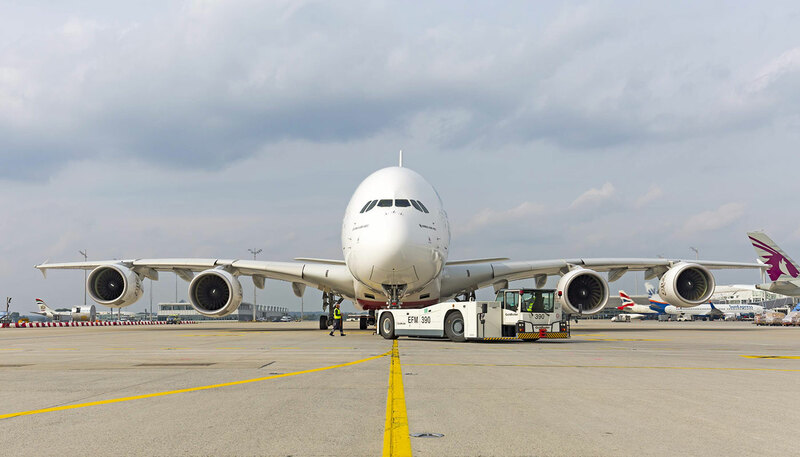 The A380 is available with two types of turbofan engines, the Rolls-Royce Trent 900 (variants A380-841, −842 and −843F) or the Engine Alliance GP7000 (A380-861 and −863F). 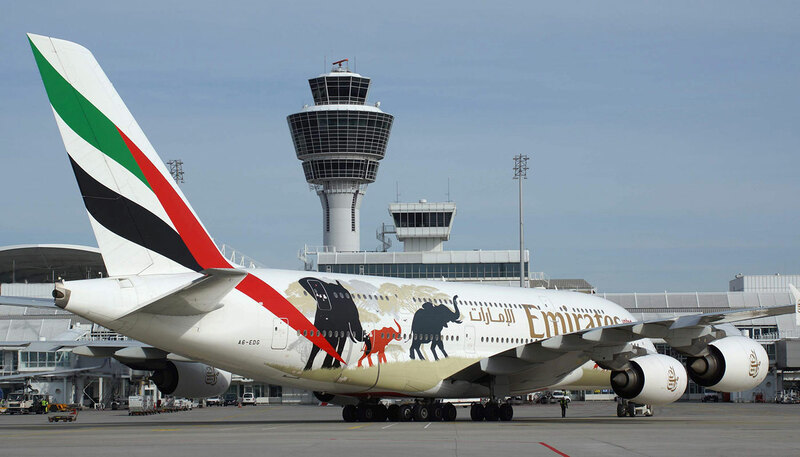 Two massive Emirates A380 jets take to the skies, wearing special livery in support of United for Wildlife, a global collaboration that unites the efforts of the world’s leading wildlife charities in the fight against the illegal wildlife trade.